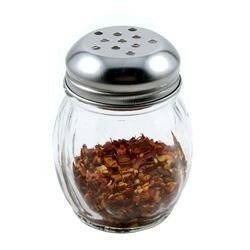 I remember seeing a squatty glass shaker of red pepper flakes alongside a shaker of Parmesan cheese on the table at the Italian restaurants we frequented when I was a kid. I never touched 'em. Had no clue what they were for. And as I was learning to cook, it never occurred to me to experiment with red pepper flakes. I would throw them in only when a recipe called for them, and always in very small amounts. Now, though, I've gotten into the habit of adding them with regularity to just about everything I cook-pasta, vegetables, soups, stews, meat dishes, you name it. What are these little jewels, exactly? They're just dried red chile peppers, crushed into flakes, with the seeds included. You can find lots of varieties in your specialty kitchen stores, your grocery store, and online. For instance, Penzys, an online spice store (www.penzys.com), sells my favorites, including Crushed California Red Pepper and Crushed Pakistani Red Pepper (which packs twice as much heat). Professional chefs and experienced home cooks will tell you that red pepper flakes add another dimension of flavor to a dish. They had some spizzazz without making every mouthful hot and spicy. The writers at www.thekitchn.com explain, "Red pepper flakes elevate the taste of other ingredients and make a simple recipe complex and interesting. Take spaghetti with olive oil, garlic, and red pepper. This is a classic combination of three basic ingredients, but the end result is more than a sum of its parts - and the red pepper is what makes it sing." I have to agree, and since I've started using them my cooking has improved. 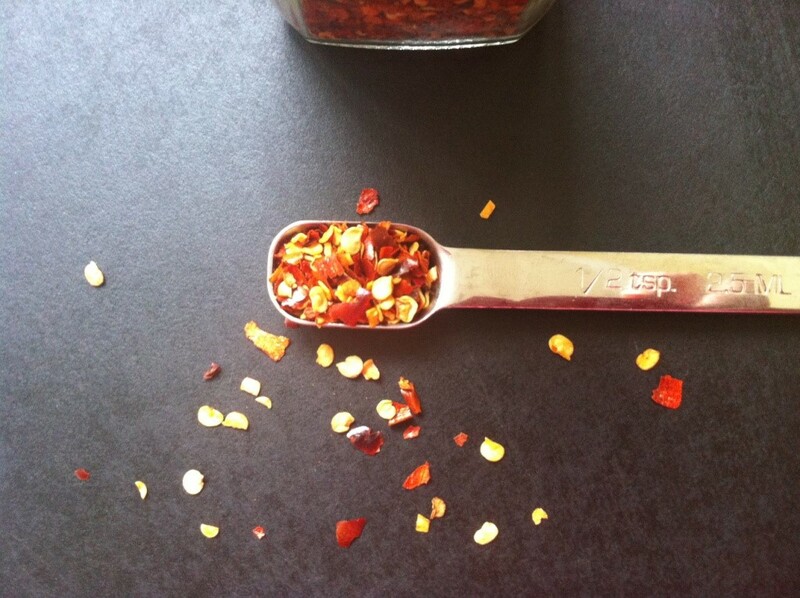 One tried and true destination for red pepper flakes is Asian cooking. Add them to sauces like spicy peanut sauces, for instance. And they're just perfect on broccoli, finely diced Brussels sprouts, and lightly steamed cauliflower. After some experience with these flakes, I've stopped being shy. Rarely do I find that red pepper flakes make a dish too hot or inedible, like an overdose of cayenne can do. One thing you will notice about them, though: If your container is past its prime, the red pepper flakes are likely pretty bland, so be sure they're fresh for the greatest benefit. 1. As mentioned, they bring out flavor without overwhelming the dish by adding a touch of smokiness. 2. They're a great alternative to salt. 3. They ease congestion-a wonderful benefit during cold and flu season, or if you're dealing with allergies. 4. They help control weight. Their kick of heat helps stimulate metabolism and prevent fat storage. 5. Research says they help prevent the spread of prostate cancer. 6. They boost immunity because they contain loads of vitamin A. 7. They prevent stomach ulcers due to the chemical found in them, capsaicin, which helps kill bacteria in the stomach and helps protect the stomach lining. 8. They help reduce hyperinsulinemia, or high levels of insulin in the blood stream. This makes them great for diabetics. With all this in mind, you might want to do what I'm doing now. Remember that squatty glass shaker of red pepper flakes I mentioned earlier (the one I used to ignore when we'd go out to eat)? 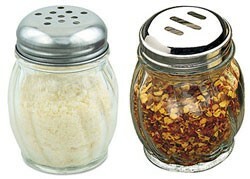 Well, I keep a similar shaker on my stove top next to the salt and pepper. Now I'm clued in and I use it with just about everything I cook!